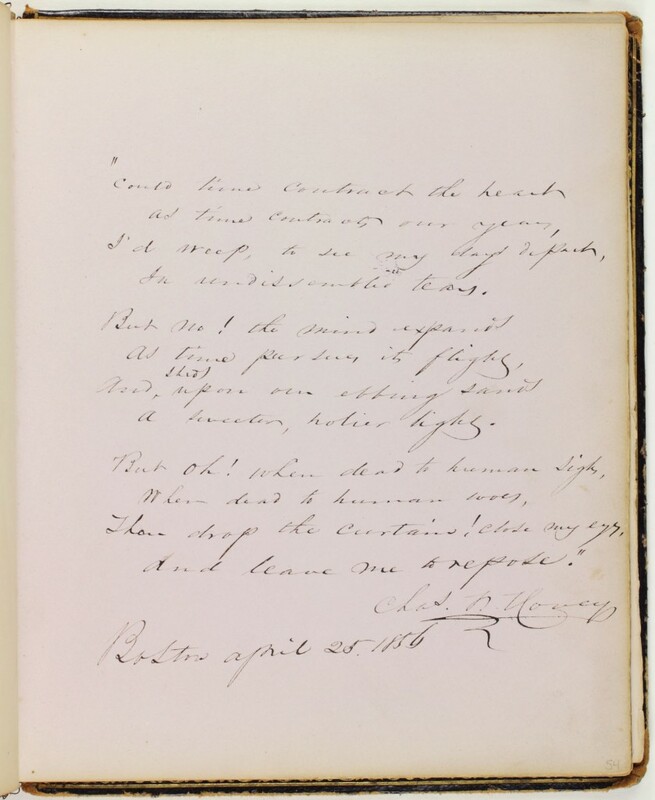 The poem about time and the human mind, likely an original composition, deals with themes of mortality, Christianity, and isolation The elegiac tone implies that Hovey was aware that Cassey was terminally ill. The poem emphasizes the powers of the human mind over the mortality of the individual. As death approaches, the heart and mind first expand – and beautify life – and then become “dead,” at which point it is time for eternal “repose.” In the poem, the individual is capable of imagining a “sweeter, holier light,” whether it means a heightened connection with God or a brighter future. 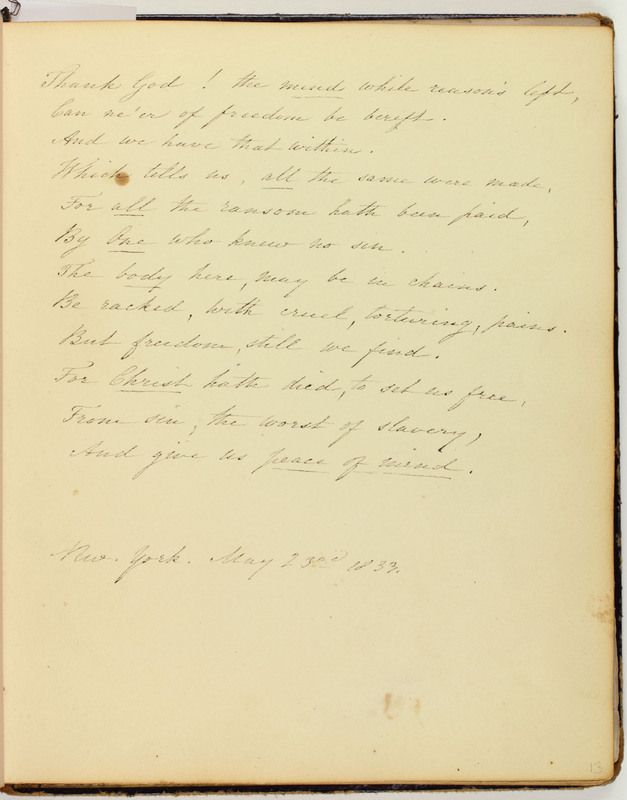 Page 54: Selected from Richard Robert Madden, “The Closing Year” in The Literary Life and Correspondence of the Countess of Blessington (New York: Harper Brothers, 1855).